I try to be as productive with my iPhone and iPad as I can. If I can do a task on my iPhone, I’ll often just do it there so that I can be done with it. 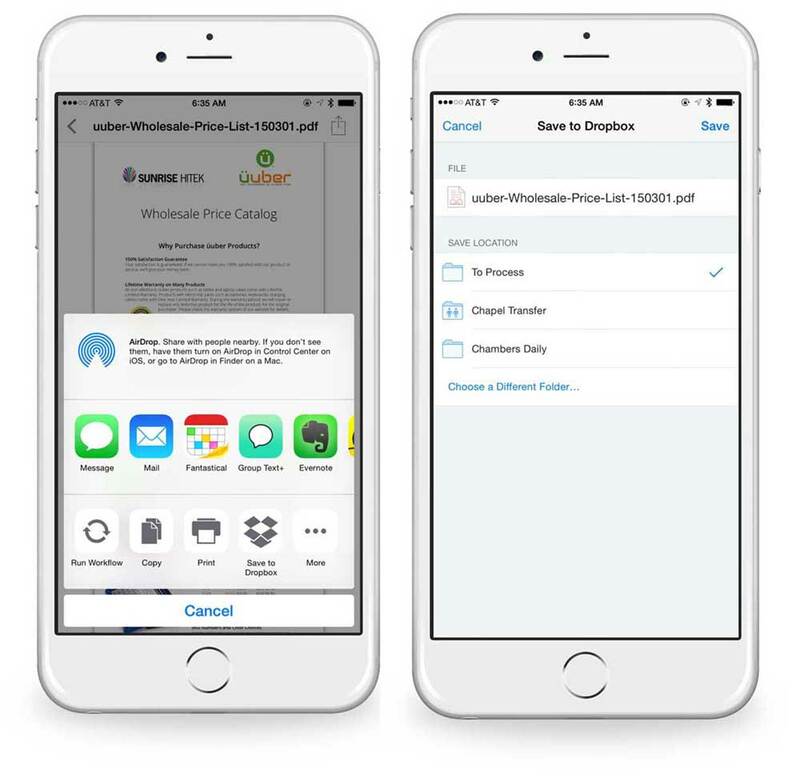 I’ll sometimes get attachments sent to my email that I either need to print with a desktop-only custom setting, edit with a desktop-only app, or spend some time reading at work. In order to get the e-mail out of my inbox and into a trusted system, I’ve built a method using Dropbox and a folder alias that allows me to store the document in a place I check frequently. I created a folder in Dropbox called To Process. I then made an alias of it on my Desktop. To do this, right-click on the folder and click Make Alias. 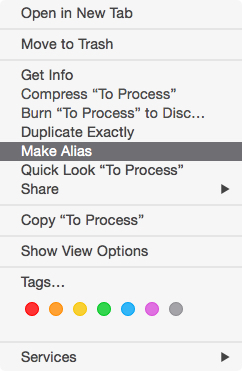 This creates a folder called To Process alias, which you can rename (single click on the folder and press enter). Next, drag the “alias” folder you created to your desktop. Anything put in this folder will be in the Dropbox folder you created and vice versa. These folders are the same even though it appears in two different places. Over on my iOS device, when I open a PDF and tap on the share sheet, there is a Save to Dropbox option. You see To Process already listed in my save location list, but this is because I’ve already used it. You’ll want to tap on Choose a different folder and find your To Process folder. Saving a document here will also place it in your To Process folder on your desktop. The first thing I do every morning is open this folder and process any items from when I was away from my desk. This is a simple trick. It’s not anything super technical, but rather a way of storing my attachments so that I remember to process them. I keep my desktop clear of a lot of files. The only thing there is my To Process folder. It’s my trusted system for files that I need to deal with.